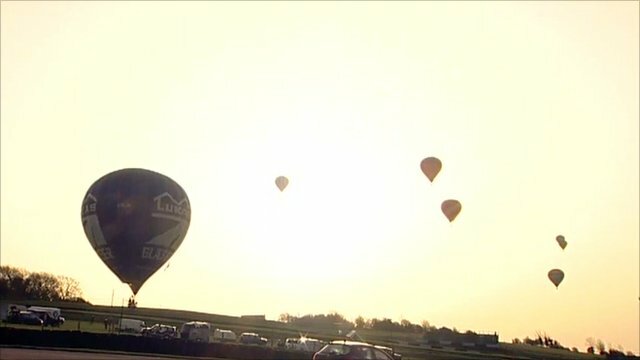 Hot-air balloons in record bid Jump to media player A world record is set to be confirmed after 50 hot air balloons succeeded in their attempt to fly across the English Channel. Balloon race lifts off from Bristol Jump to media player After a delayed start, the world's oldest air race finally lifted off, in Bristol overnight. 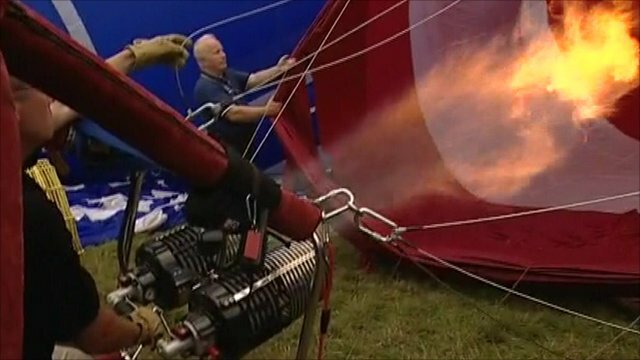 Enthusiasts prepare for balloon race Jump to media player Balloon enthusiasts from eleven countries have gathered in Bristol for the world's oldest air race. How do you make a hot air balloon fly? Jump to media player Events are under way at the 32nd Bristol International Balloon Fiesta, so the BBC's John Maguire went along to find out how to fly a hot air balloon. 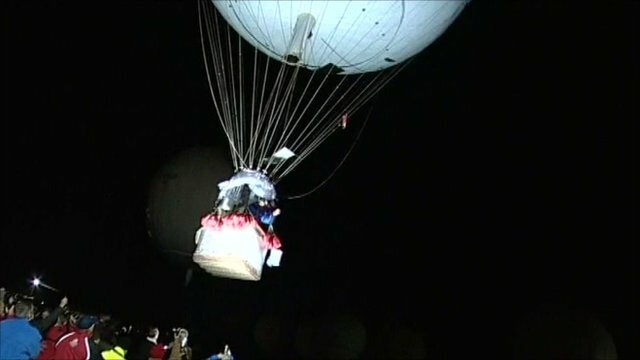 A world record is set to be confirmed after 50 hot air balloons succeeded in their attempt to fly across the English Channel. They set off from Lydden Hill race circuit in Kent at about 0700 BST for the flight and arrived in and around Calais within four hours. 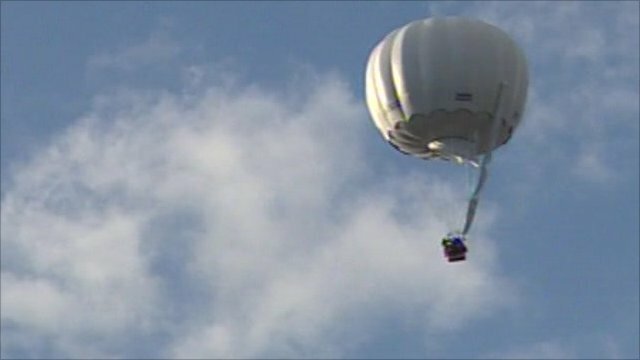 Balloonist Ian Sharpe, from Caterham in Surrey, is behind the attempt and said he was "absolutely elated".